I could not even believe I got this dress shipped to me since everywhere was sold out, but it arrived. today I tried it on and could not wait to share this. You know when clothes are made and cut to fit a woman shape perfectly. This dress is one of those and all I wanted to do after putting it on was twirl around. Try and grab one if you get an alert from Nordstrom, this really is a unique pattern that packs all I love in a dress. Comfort, style, unique pattern, color and amazing feminine fit. 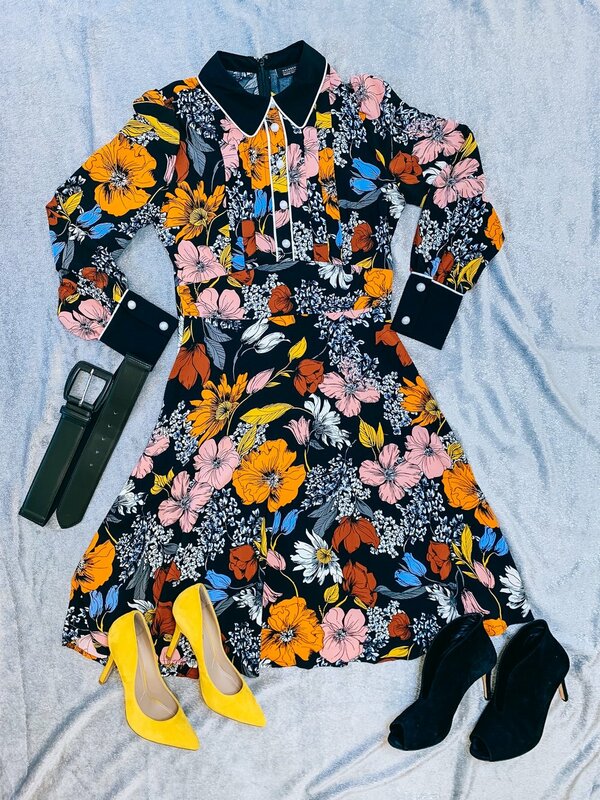 Halogen x Atlantic Pacific Floral Dress $129 at Nordstrom.